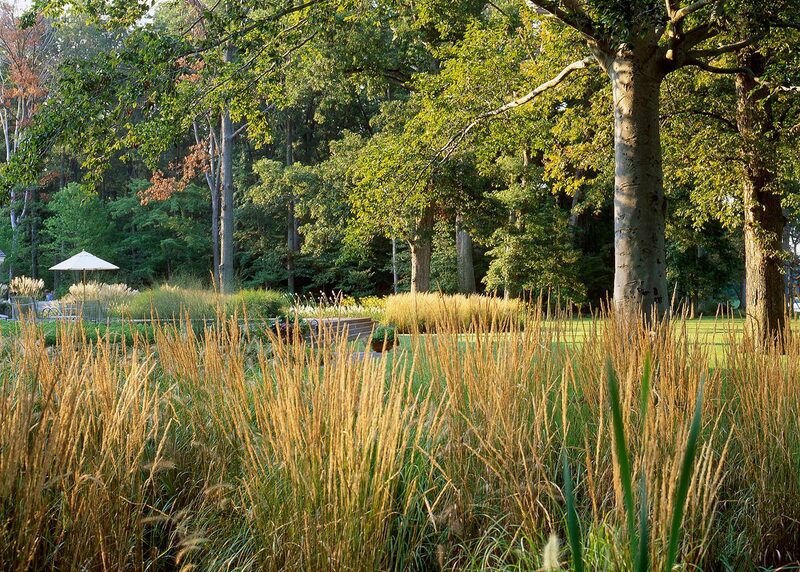 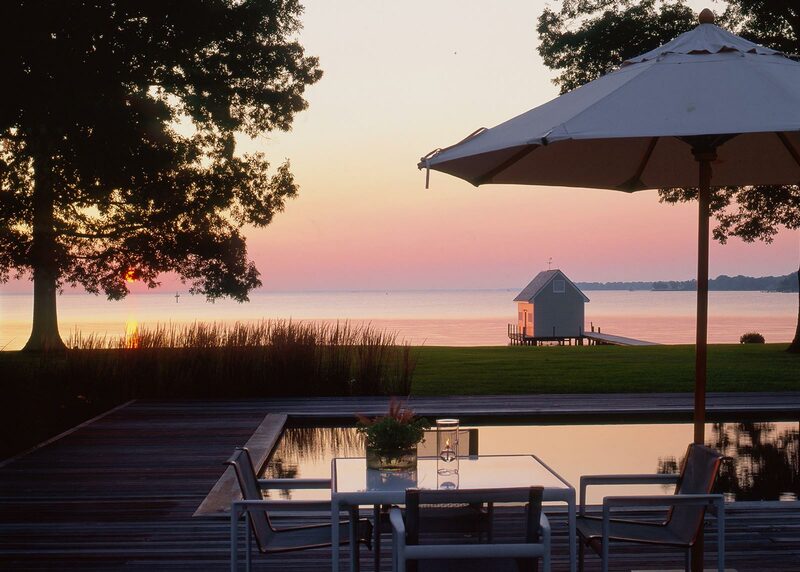 Surrounded by pristine woodland and interrupted only by 750 feet of shoreline on the Chesapeake Bay, the new gardens in this year-round vacation home in Anne Arundel County, Maryland accentuate these matchless natural features. 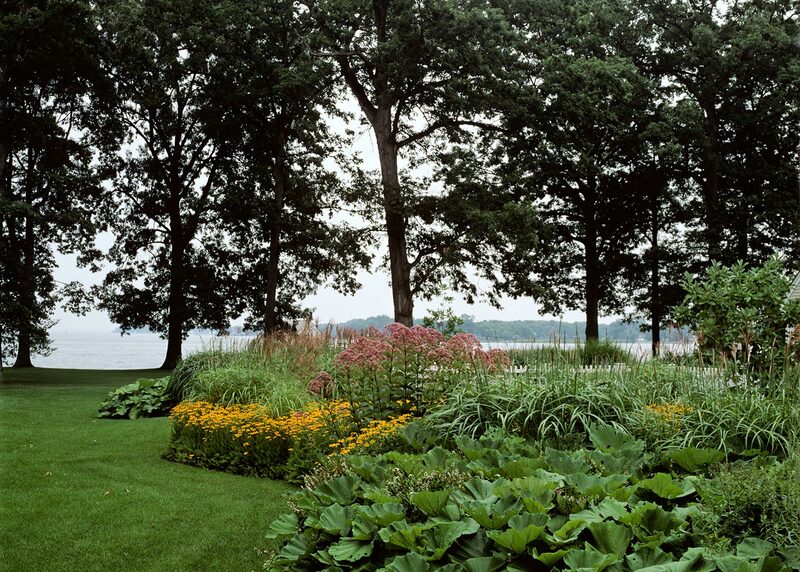 Under a canopy of 125-year-old oaks, a sweep of manicured lawn to the shoreline enhances water views. 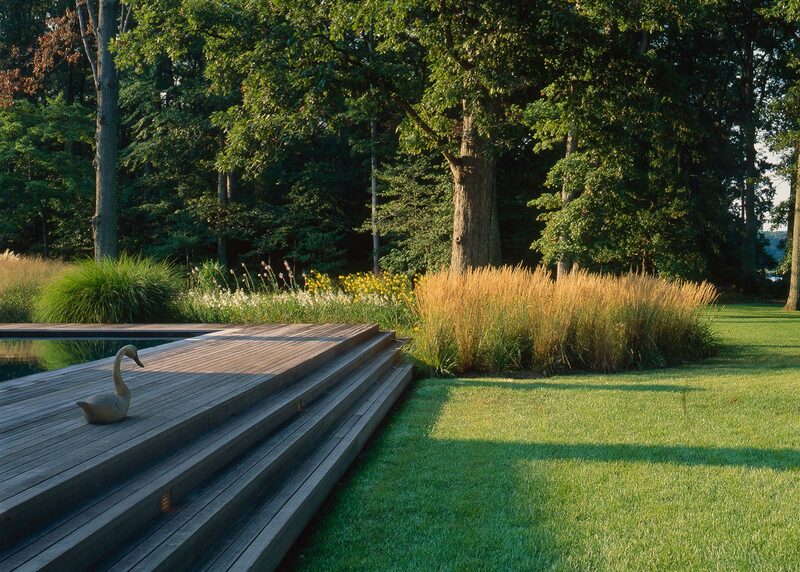 At forest’s edge, a transitional “river” of planting emerges, flows by the smooth teak pool deck, and empties into the broad surface of the Bay. 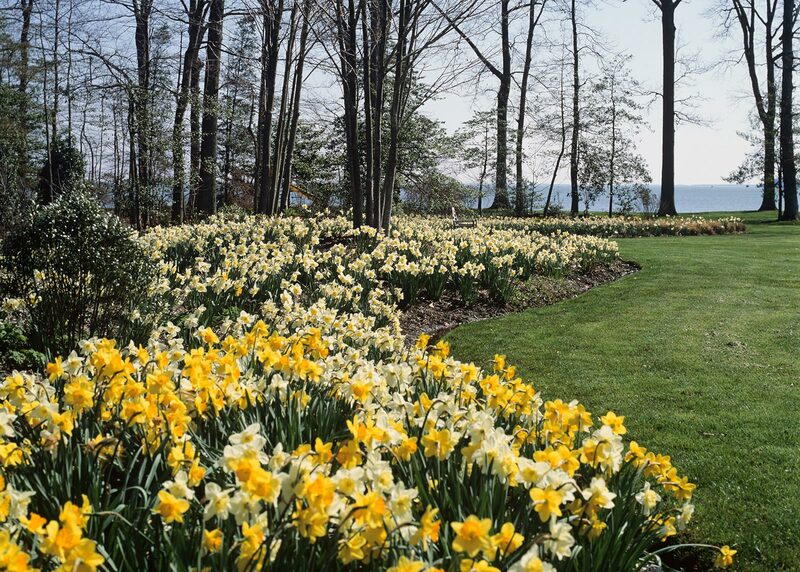 Seasonal interest is key and spring bulbs herald the return of the growing season, while summer and fall offer profusions of blooms and tall grasses. 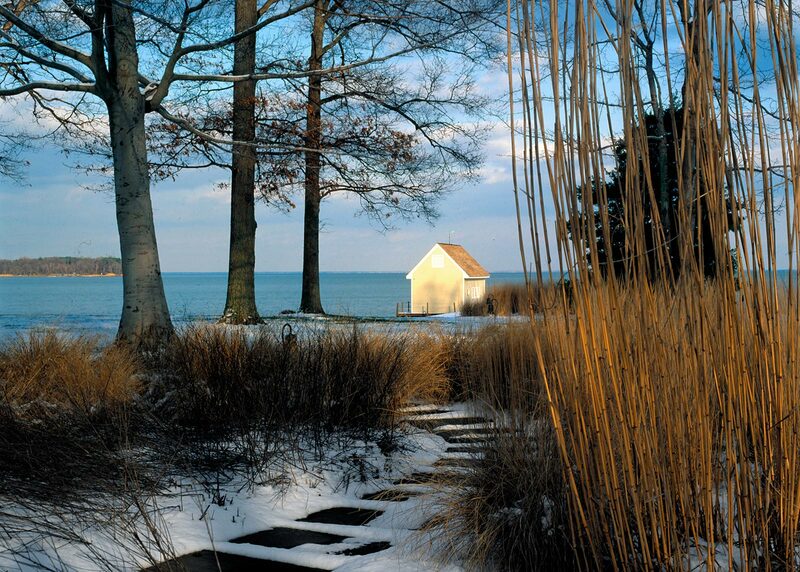 OvS made the most of these seasonal transitions and designed winter on the property to resemble a dried floral arrangement.